Many countries like Sweden, Germany, Finland and the Netherlands have discontinued water fluoridation and several areas within the United States are following suit. A recent hidden camera video inside a water treatment facility has pushed the anti-fluoridation movement even further with its attempts to remove the substance from the water. Just last year citizens in Wichita, Kansasand Pulaski, New York joined the more than 130 communities across the country to ban water fluoridation. Whether you are for or against water fluoridation, you can attend the hearing by visiting yes4cleanwater.org to find out more. here below is some new current information that just showed up! “Johnson discovered from work done elsewhere that ‘plutonium is virtually 100 percent soluble in Denver area drinking water because of the presence of carbonate and fluoride in the water.’ (1) Appreciable amounts of plutonium were found in Denver drinking water as late as 1972, with lesser concentrations thereafter. Plutonium in water that has been chlorinated is readily absorbed into the gastrointestinal tract of children. “One of the studies regarding plutonium solubility that Johnson cites was done by J. M. Cleveland,(2) whose authoritative The Chemistry of Plutonium (NY: Gordon and Breach Science Publishers, 1970, was written when he was the chief plutonium specialist at Rocky Flats. 1. Johnson, “Some Studies of Low-Level Radiation and Cancer in the United States,” presented at the University of Basel, June9, 1987; notes 25 and 27-30. See also Johnson, “Contamination of municipal water supplies in the Denver metropolotan area by the Rocky Flats plutonium plant,” presented at the 146th Annual Meeting of the American Academy of Sciences, San Francisco, January 4, 1980. 2. Cleveland et al., “Plutonium speciation in water from Mono Lke, California,” Science, 222 (12-23-83): 1323-1325. 3. Kaiser-Hill Company, Report on Soil Erosion and Surface Watyer Sediment Transport Modeling for the Actinide Migration Evaluations at the Rocky Flats Environmental Technology Site (00-RF-01823) (DOE-00-o3258) August 2000. See also “Approved Modifications to the Rocky Flats Cleanup Agreement (DOE, EPA, CDPHE, June 9, 2003), Response to Comments, pp. 67-74. Fluorosilicic acid (aka Sodium Fluoride) is being added to our water around the US. The cons outweigh the “supposed” pro’s. Is it worth the pro’s? You decide for yourself. This all began in the 1930’s and 40’s, the aluminum and phosphate manufacturers were stockpiling Industrial Fluorosilicic acid, which was a byproduct of their operations. The growing accumulation of this waste was contaminating local water, harming livestock and crops near aluminum plants. Looking for a profitable way to dispose of this toxic substance, they began to market it as rat poison. It is effective for killing rats, but that did not sell enough of it. Using some research that suggested it hardened teeth, the aluminum executives and their allies in business and government worked hard to convince the dental association to endorse sodium fluoride for public consumption through the water supply. Fluoride makers change fluorosilicic acid from its water-based solution into powdered derivatives called sodium fluorosilicate and sodium fluoride, which suppliers add to drinking water. This gave them a way to get rid of poisonous waste at a profit. Water fluoridation began in the USA in 1945. As a safe and cost effective way to prevent tooth decay. Today more than 195 million Americans are on fluoridated water systems thats 72% of the US. But careful statistical studies by John Yiamiyanous Phd., biochemist and specialist in epidemiology (the study of population health statistics) showed no appreciable health benefit to teeth from fluoridation of water. On the other hand there has been a clear increase in cancer in cities where the water is fluoridated. Too much Fluorosilicic acid also makes the teeth and bones brittle. Teeth can become mottled, and eventually more likely to crumble. Further, fluoride interferes with the uptake of iodine in the system, contributing to thyroid problems. Children have been seriously harmed or even died from swallowing fluoridated toothpaste or mouthwash not to mention is also harms the enamel on the teeth of young children. Below I will list some pros and cons of Fluorosilicic acid in our local water system. 1. It is thought that adding Sodium Fluoride helps strengthen the enamel of teeth, preventing tooth decay, cavities and tooth loss. Which none of these have been scientifically proven. 1. Sodium Fluoride taken in doses of 10-20 parts per million may cause bone weakness. 2. Does not reduce cavaties and has been linked to thyroid disease and bone cancer in young males. 3. Fluorosilicic acid is a byproduct of fertilizer, aluminum, and phosphate production. 4. Causes fluorosis, Dental flourosis is a developmental disturbance of dental enamel caused by excessive exposure to high concentraions of sodium fluoride during tooth development. 5. Increases the chance of bone cancer, hyper and depressed activities and bone fluorosis which cause the bone density to reduce. 6. Though Sodium fluoride stimulates the oxygen formation and consumptions in white blood cells, it hinders this process once the white blood cell is challenged by a foreign agent in the blood. 7. Sodium fluoride decreases the amount of energy reserves in the white blood cell and it also decreses it’s ability to properly destroy foreign agents. 8. It also confuses the bodys immune system and thus, it starts to attack it’s own tissues and increase the chance of tumor growth rate in cancer affected individuals. Dr. Dean Burk once co-founder of the US National Cancer Institute has conclusive evidence linking fluoridated water to increase of cancer in consumers. He conducted and completed a study comparing the ten largest US flouridated cities to the 10 largest non fluoridated cities and concluded that sodium fluoride should not be in our water. Citing cancer increase and death as one of his top reasons, also stating sodium fluoride should be banned by federal law quoting the Delaney Amendment Clause Armed with studies that conclude fluoride can cause osteosarcoma, a form of bone cancer, concerned groups asked the state to list it as a carcinogen. the Proposition 65 list.California voters passed Proposition 65 in 1986. It’s a warning label that the business you’re visiting or product you’re using could expose you to cancer-causing substances. I praise the five city councilors sponsoring a bill to cease fluoridating our water. Patti Bushee, Carmichael Dominguez, Ron Trujillo, Chris Rivera and Bill Dimas know about Harvard’s scientific study recently published that too much fluoride lowers human IQ. 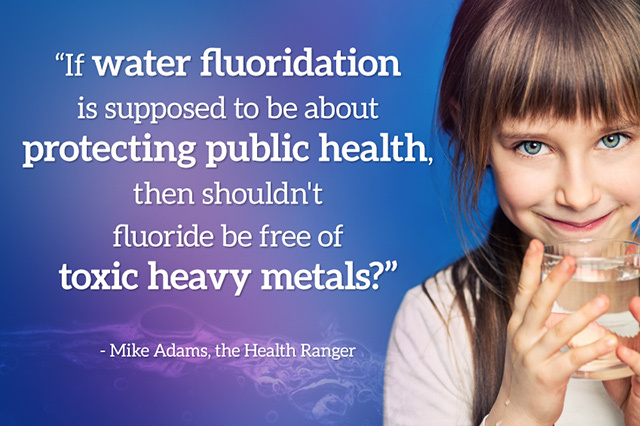 Educators now understand that fluoride contributes to dumbed-down children. 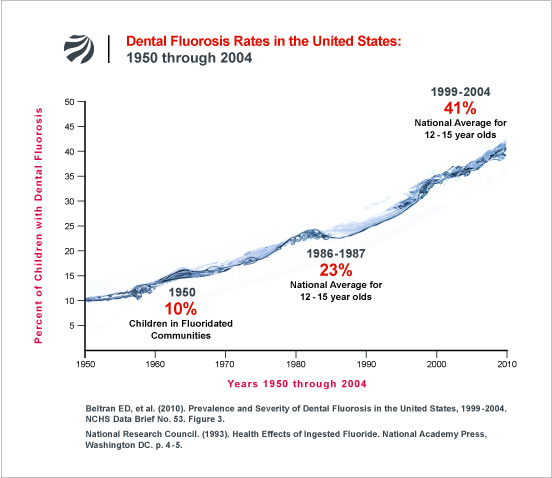 “Pseudoscience” from false data and hidden reports convinced an unsuspecting public in the 1940s and ’50s that “fluoride is good for you.” We believed that drinking fluoride and using fluoride toothpaste prevented tooth decay. We’re smarter now. Drinking, breathing and eating fluoride, a toxic, industrial waste product, is not good for you and does not prevent tooth decay. Eating natural sugar, good oral hygiene, eating right and wise parenting prevent tooth decay. Drinking fluoride throughout a lifetime causes devastating side effects: calcifies soft tissues, muscles, organs, glands and brains. Deposits in our bones: skeletal fluorosis. The new breed of scientists tells the truth about fluoride. Thank you, councilors.